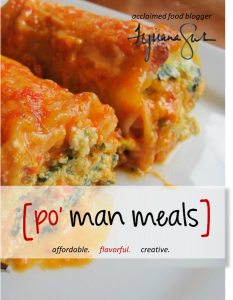 po' man meals - po’ man meals new cookbook! po’ man meals new cookbook! i have some exciting news! i have self published my own cookbook. i am very pleased with the results and am thankful that i decided to create one. the book has some po’ man meal favs but more importantly has some new recipes that will never be published online. i plan to continue to create more cookbooks, so please stay tuned! to see a preview of the book and to order, click ‘book preview’ on the widget below..
to go directly to the options of hardcover, softcover or ebook, click here. thank you all so much for your support and encouragement. please let me know how you liked it! 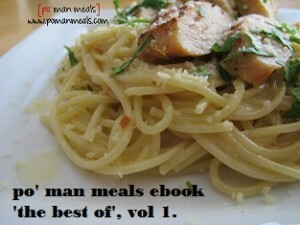 15 responses to po’ man meals new cookbook! where can I buy hardcover copies of your books? hi phyllis, here is a direct link to the hardcover of my cookbook – http://www.blurb.com/b/5761092-po-man-meals-cookbook. thanks again! I just ordered the e-version of your book…cannot wait to download it and start using it!! Good luck to you and God Bless you and your family. Can I get a signed copy of your hardcover? Congrats on the new cookbook. I just ordered your book with dustjacket. I didn’t see an option for the book to be signed. I still would love your signature also with the book. Thank you and again congratulations. I hope you have many more to come. thank you so much for your support, beverly. i will have to figure out a way to get you a signed book. i truly appreciate you! I purchased Pati Jinich’s FIRST cookbook, Pati’s Mexican Table and she mailed her autograph separate. It was on a sticky note where if someone wanted to they could put it into the cookbook. I left mine in the original envelope. I keep the cookbook and autograph together. Just not stuck into the cookbook. If this sounds like the way you would prefer I will email you my address. I got the email today that the cookbook is on it’s way. Thanks again. When I sent the info through the hotmail acct. it did not go through. So I sent the info through my yahoo acct. Got the book. Love it.